Susan Talbot has a background in Film & Television Production as well as being an Emmy Award winning editor. She is the Co-Founder of Aerial Filming Ireland and more recently Skytango.com so who better to ask for a practical guide to utilizing drones on set? Over to you, Susan. From ‘Spectre’ to ‘Game of Thrones’, ‘Dark Knight Rises’ to ‘Narcos’, there is no escaping aerial footage shot by drones. The cinematic scope of an Alexa mini on a Heavy-lift drone can be transformative in the right setting. Not that long ago, obtaining an aerial for your film was expensive. Hiring a helicopter, a pilot and putting a DoP/Camera Operator in the air with your rig was costly. Along came the UAV (Unmanned Aerial Vehicle) and the world changed. Even modest budgets could now afford the ‘money’ shot and with recent regulation changes, operators are more accessible than ever. But you need to pay attention when there is a drone capable of carrying an Alexa or a RED on a confined film set! Look at it this way. It’s 16 sharp, spinning blades of potential unpredictability flying around your cast and crew, carrying 8kg of equipment. Before they take off, the first thing your pilot assesses is ‘where can I land this in a hurry if it all goes pear shaped’! As technology advances, high-end cameras are getting smaller and lighter, battery technology allows increased flying times and more intelligent operating systems allow for more accurate and sometimes autonomous flight. RPA (Remotely Piloted Aircraft) use is ubiquitous. But just because you can use them, doesn’t mean you should. Unless they serve your narrative in some way, overuse can be a distraction. So, if you choose to have a sUAS (small Unmanned Aerial System) on your set, here are a few pointers from the perspective of the operator. Right now, if you were to hire a drone for your film, you make a few inquiries and hire the drone operator with the right rig at the right price. I bet once you have sourced the right rig at the right price and have given a basic description of what you want – it goes out of your head until shoot day. Right? The zero prep / shoot on the day works just fine if your project is a corporate video and you only need GV’s of a specific area. All you need to do is give ample notice in the event an aerial permit is required for your location and sort out any permits you need from the landowners/local authority. Currently there is still a 14 day process with the IAA if you want to fly above 50ft in certain areas within airport control zones (CTR). The bigger rigs need a lot more prep. Generally speaking, it’s one day of gear prep to one day shooting. Flying on consecutive days still takes prep time as with any gear, but the bulk of the prep is before day one. Once you get into a film set situation and require compound moves in the air to cover co-ordinated action on the ground, more attention needs to be given to the process. Here are eight tips if you intend to use a drone in your production. You have been talking about your film and its execution for months. You most likely have a working relationship with your key crew and feel very comfortable communicating with them. Consider contacting your drone operator in the early stages and invite them in on the storyboard process to consult with specific drone shots. This may be the time they raise concerns, or offer perspectives you haven’t thought about. If you have a multi camera shoot, understanding the limitations of the drone can save time. For example, if you have two cameras rolling on action, you need to allocate time for the drone to get into position and know how long it takes for it to get from Point A to Point B before calling cut. That may require a test flight. Drones do not do well hovering for periods of time (hovering uses up more power and can give the operator very limited options if something goes wrong). If a second take is required, the drone may have to land while first positions are set up again. If you are armed with this information up front, then your patience is less likely to be tested on the day. Including your drone operator in the recce is always appreciated. If this means travelling to a location, then budget at least a half-day rate for their time. If that is not possible, and your operator agrees to do it anyway, then at least cover expenses. If neither of the above can happen, take good location photographs. How important is it to have your entire cast and crew on set for drone operations? Having upwards of 30 people watching a flight can be unnerving (drones on set are still something of a novelty). For best performance (and safety) consider using your drone as a second unit with minimal crew, or even autonomous shooting with a shot list if it is simply GV’s with no co-ordinated action. Consider a body double if action is necessary. This allows the drone crew the flexibility to utilise optimum weather windows. Weather is a headache for all drone operators, and Ireland has plenty of it! Some rigs do better in windy conditions than others but all have a pretty low tolerance ie; anything gusting above 20mph is difficult to fly in. What seems a perfectly calm day to you for shooting on the ground may not be suitable for aerial operations at 100 or 400 ft. Solar flare or a line of ore underground can all have an adverse effect on the drone GPS and compass. In other words, because it isn’t obvious to you, doesn’t mean there isn’t a problem and often there is no way to predict these situations until action is underway and the drone starts to behave erratically. Having a producer put the operator under pressure to continue against his or her better judgment is counter-productive and could even prove dangerous. If it’s possible to have a Plan B, then think of it in advance of the shoot day. Most operators carry their own cameras for insurance purposes. If you intend to use your production camera or a third party rental, make sure your production insurance covers that camera for aerial work. Often this is just a phone call and information exchanged between insurance companies and parties indemnified etc. However, there may be an extra charge on your premium and it can take at least a day to sort out, so factor that in. If you intend flying a larger camera with a prime lens, decide in advance who is responsible for the camera and setting the focus. Is it still the camera department? In this instance, the drone is merely a flying jib and 150ft vertically is no different from 150ft laterally. Newer rigs and controllers allow for focus adjustments remotely. Many still need to handle this manually. It depends on the rig and the camera. Quiet on set! Often a drone operator is flying upwards of €50,000, 100 feet off the ground. The radio controllers have many functions, (anyone who has attempted to fly a toy helicopter will understand getting your head around this one) and is sensitive to the touch. In one ear he or she is listening to their on board telemetry and battery life read outs. In the other ear they are listening to their camera (gimbal) operator asking for flight adjustments. It can be intense. So when your operator asks for quiet, please give it to them. The drone industry is still in its infancy and there are great things to come. But for now, whether it’s a DJI or a Freefly, a Parrot or a Solo, a Quad or an Octocopter, they all have their limitations and getting the most out of them on your set means understanding those limitations. If you want to know more about IAA guidelines for drones, go to https://www.iaa.ie/general-aviation/drones. If you are a drone operator, a content buyer or interested in keeping abreast of all things drone related, subscribe to www.skytango.com or follow @skytangoteam. 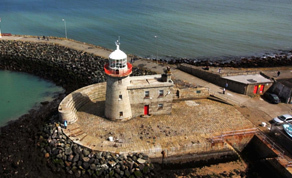 Check out IFTN's listing page for information about Aerial Filming Ireland here.